Gratulerer med dagen! Happy birthday! To Norway. Yes, as I’m sure you realized the very moment you woke up today and had your first conscious thought of the morning, it’s Syttende Mai, and it is a day for celebrating! I’m doing a little flag waving and national anthem belting, and I’m sure the bottle of aquavit will come out for a small nip this evening. But, for the second time ever in my life, I’m neither attending nor hosting a party. Anyway, it feels extremely odd. The reason I’m not hosting a party this year is several fold. Partly it is because we are in the midst of another round of data collection this week and the timing couldn’t be more difficult for party planning. But, that on its own wouldn’t stop me. It is mostly because I have a slew of visitors coming in a little over a week, and I’ve been putting all my spare time and energy into crafting an epic, but belated, celebration for all of them to attend. I like to amuse my guests in style. Particularly in heavily embroidered woolen style. Still, it feels odd not to be partying today. If there is something Scandinavians do not do well, it is belated. Switzerland does not have the corner on the market of operating like a finely tuned watch. In Norway, a train delay of a minute or so is announced in the station with gravity and sincere apologies. I wish Amtrak would take a couple cues from them. We’re still eating Norwegian food today though. Otherwise I sincerely believe I might cease to function, and melodramatically melt into a puddle of identity-less-ness. Of utmost importance are the sausages and lefse that will be dinner. I also settled on making a rice pudding. Rice porridges and puddings were never really part of my family’s traditional food repertoire. Any porridge we had was a simple smooth cream porridge. And, I used to be quite offended by rice pudding. What were all those nasty, plump little grains doing in there ruining the uniform texture? (I felt the same way about tapioca.) But in college my friend Kaitlin and I started making a wild rice breakfast porridge in place of oatmeal. And then my friend Megan has insisted on having rice pudding every year at her St. Lucia party. And well, somewhere along the way I developed a taste for it. The world is a brimming, milky cauldron of different rice pudding recipes. There seems barely to be a country out there that doesn’t lay claim to a version, or eight. They all seem to be quite similar, but also different, showing the inherent forgiving and comfortable nature of rice pudding. It’s the security blanket of foods. 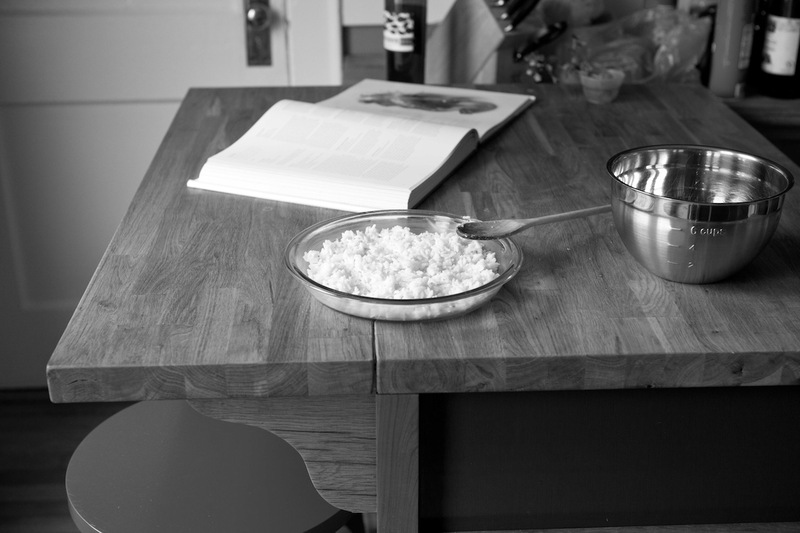 Most recipes are stove top recipes, generally calling only for rice, dairy (or coconut milk), and seasonings. In Norway, you usually add cinnamon, raisins, and an eye of butter on top. If you let your rice pudding cool and then fold in whipping cream (and when has doing that ever been a bad idea? ), then it becomes riskrem (rice cream) and you usually serve it with a red berry sauce. 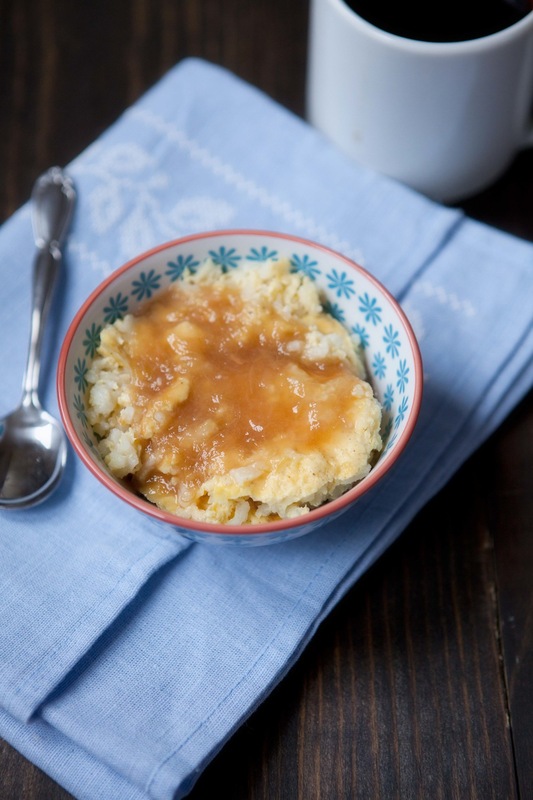 But, what if, in your nationalistic (though party-less) zeal, you decide you want to start your day off with rice pudding for breakfast, a slightly hardier rice pudding, with eggs. Well for one thing, it may then technically be a custard rather than a pudding. But also, you will be relieved to know, there is a baked version that suits the bill nicely. Rather than slow cooking on the stove top, you blend together milk, cream, and eggs and pour them over the rice. Then you step out and let a low oven do the job, its gentle heat suspending the tender rice grains in the silky, eggy custard. And for those of you who are fans of pudding skin, you get a sort of special baked version atop this dish, a taut, delicious, golden brown crust. Though baked rice pudding is usually served without toppings (more often there are raisins mixed in), the berry sauce for riskrem is one of my favorite elements. So, taking a cue from that and another from rhubarb soup,which I certainly would have felt bereft without on Syttende Mai, I simmered up a sweet-tart rhubarb sauce to go with our pudding. Two desserts, um, I mean breakfasts, in one. Now that is celebratory! And now yell with me, “hurrah for Norge!” Ok, thank you. Carry on. Preheat your oven to 325F. Butter a 9-inch pie pan or other similarly sized baking dish and spread the cooked rice in an even layer in the dish. Put the dish on top of a baking sheet, just in case of spills. 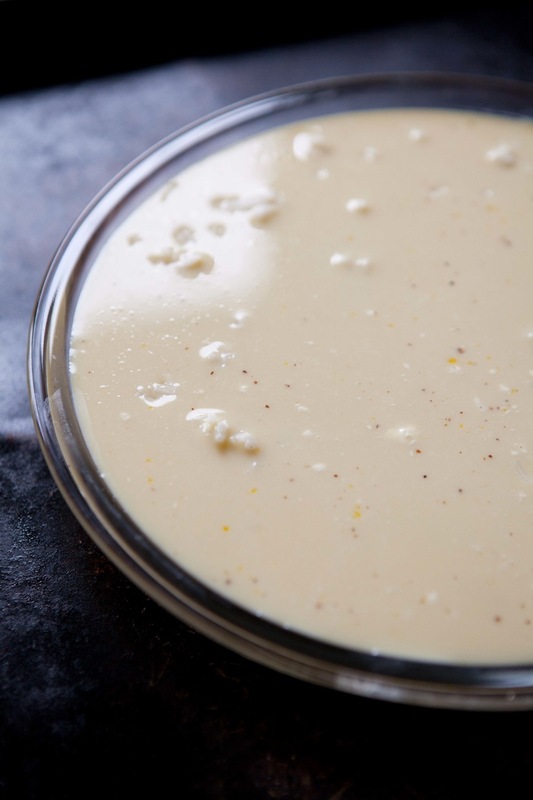 In a medium bowl, whisk together the milk, cream, eggs, maple syrup, cardamom, salt, and 1/2 tsp. vanilla. Pour this mixture over the rice in the baking pan. 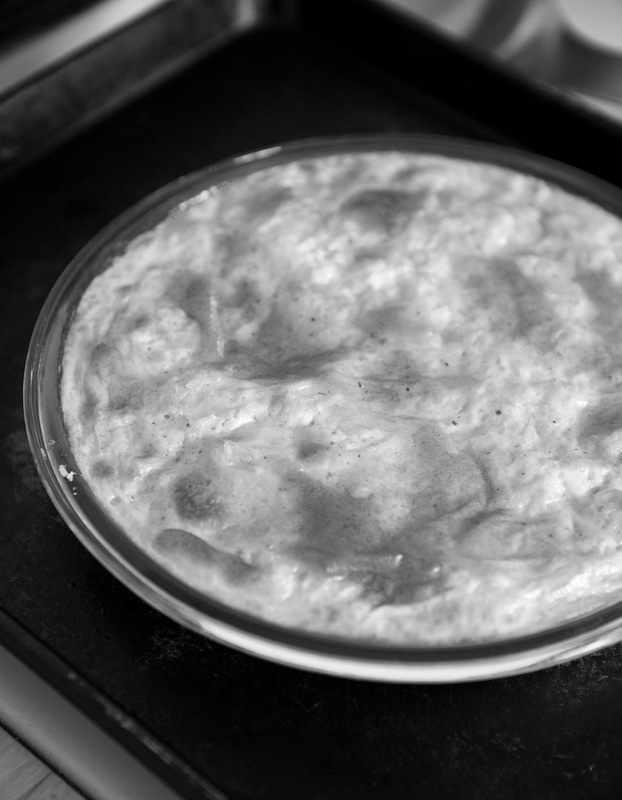 Transfer the baking pan (still on top of the baking sheet) to the oven and bake for about 50-60 minutes, until golden brown patches appear and the pudding appears set but still jiggles slightly in the middle. Remove from the oven and allow to cool for a little while before serving. Serve warm or cold with the rhubarb sauce. Snap with the rhubarb! Just a few hours ago I posted a rhubarb one too, with brown butter cottage cheese pancakes. At this time of year we can’t get enough of it. And your rice pudding does sound a delicious ‘leftovers’ breakfast. Yum! It is rhubarb season! Those pancakes sound splendid! Happy Birthday to Norway and what a fantastic rice pudding especially with the Rhubarb sauce. Happy Syttende Mai! Ever since we hosted our Norwegian exchange student we celebrate May 17th with risengrot and other treats (like lefse and brown cheese). I usually make pancakes with the leftover porridge. Your pudding looks divine and the addition of rhubarb sauce is lovely. Thank you Hannah! I figured you guys would be celebrating a little! Also, pancakes with the leftover porridge? That’s genius. I’m going to try that. Great photos again! Though I have mixed feelings with rhubarb as I did not have a pleasant experience with it =P It could be that the restaurant messed up with the dessert, but the rhubarb sauce I had was extremely sour >0< It was my very first time sampling it and since then I have been avoiding desserts with rhubarb. Though it still picks my curiosity becuase I still see various other desserts with rhubarb… What is the sauce supposed to taste like, say compared with lemons or other sour food?! Thanks!! Thank you Carrie! I hope you give rhubarb another try. It’s one of my favorite things. It is very sour on its own though. It sounds like the dessert you had just didn’t have enough sweetener for your palate. 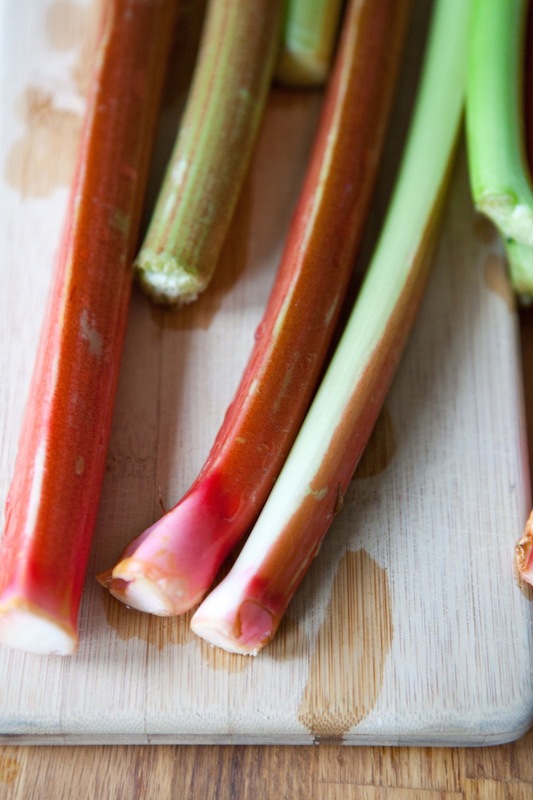 If you cook rhubarb without enough sugar/honey it can have an unpleasant, mout-puckering astringency. The nice thing with cooking it yourself is that you can adjust the sweetness to your liking. Especially with something like a sauce (as opposed to pie), where you can keep adding a little more sugar/honey as you cook and taste it. But, over all, I’d say rhubarb desserts tend to be about as tangy as lemon desserts (so this sauce is only about as tangy as lemon bars or a lemon meringue pie). 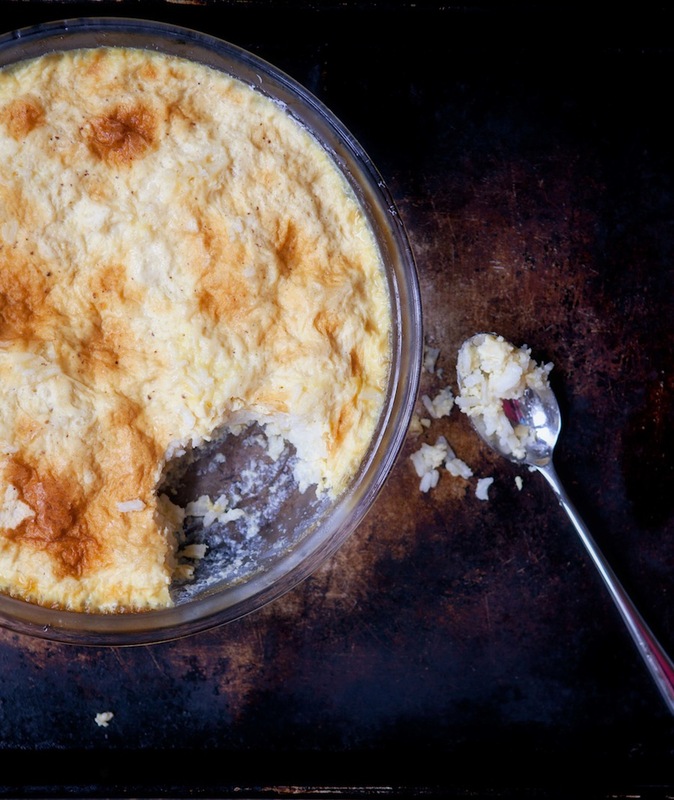 Okay, here at last is a recipe that might finally win me over to rice pudding. Well played. Well played. I’m glad you approve, sir. haha, I have had bad experiences as a child with rice pudding. LOL But this made me hunger for it. After 3 weeks of strict dieting I feel like some comfort food. I think I’ll make a trip to the farmers’ market tomorrow and pick up some fresh rhubarb. I’m already feeling guilty about wanting the rice pudding. Maybe I’ll serve the sauce over Greek yogurt instead. Oh, no guilt! Stay away from the guilt! I swear feeling guilty about food actually raises your stress level and undoes many healthy effects/compounds unhealthy effects. I’m a believer that good quality milk and cream are pretty healthy, but I do admit they’re high calorie. You could use brown rice and coconut milk in place of the dairy (those short chain fatty acids in the coconut have health benefits). But, the sauce is definitely smashing over yogurt as well. That’s how we had it today! Thanks, Emily. I agree that feeling guilty about food is non productive and I have no problems using dairy in my recipes. It’s the rice that I’m more concerned about because of the carbs. I did go to the market yesterday to buy rhubarb but alas there was non to be found. Nei! Jeg har glemte Syttende Mai! I am a very bad Norwegian. I blame it on work. Of course, we didn’t really celebrate it very much in my family so I always forget every year. I guess the Swedish side of the family was more active, as I remembered but did not celebrate Valborgsnatt. And I will be home for midsommar! I miss being surrounded by Scandinavians… And I have not had lefse since… Thanksgiving? Last summer? *shudder* I need to learn how to make it stat! I did make spritz for Christmas, but have yet to christen my vintage krumkake iron. Maybe now that I’m (FINALLY!) done with school, I can get cracking on that. Uh oh, fie paa deg! 😉 Well, as long you still celebrate Midsommar, I think you won’t be totally disowned by Scandinavia, hehe. And, that krumkake iron needs christening! Stat! I mean, krumkakes with cloudberry cream are acceptable in an season. Emily, my hope is you will be pleased to know: I just baked this rice pudding…adding dried cranberries…and honey instead of the maple syrup…maybe I won’t be speaking Norde tomorrow morning but I will be lovin’ this recipe. It is THE best rice pudding. Bar none. Hands down. Wow! I’m thrilled that you liked it so much! Thank you very much for letting me know! Doubled the recipe, Emily…and shared your rice pudding with several friends who live in my building. Fixed lunch for a visiting “bud” yesterday….”you” were the dessert!! Excellent…just so good…so good!! 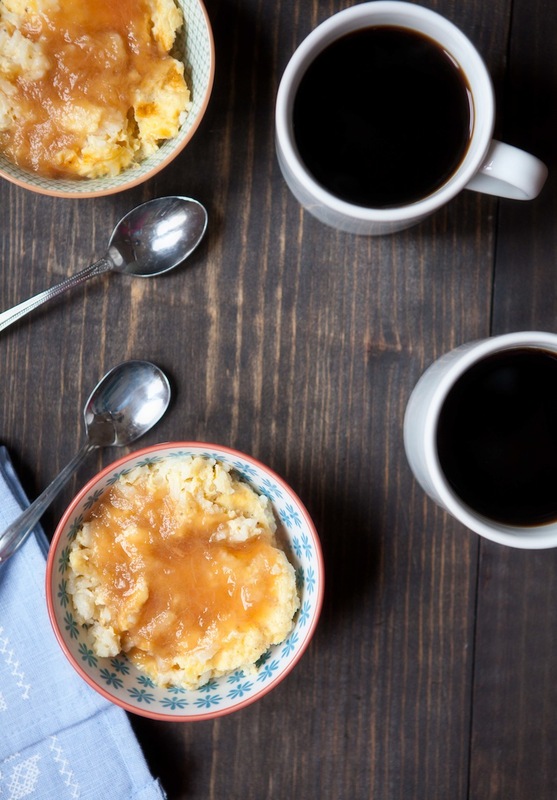 You are currently reading Baked rice pudding with rhubarb sauce at Five And Spice.